Mt. Rushmore in the disco years. I think that the foreground nudist is intended to be the fisherman’s son. Oh, now TLC’s warning makes sense. Don’t you hate it when they gratuitously put a naked lady on the cover just to boost sales. Pro hunting tip: disguise yourself as the WATERFALL. The animals never see it coming. Also, have to say that the covers are ‘on fleek’ lately, as the kids say. Good show sir, good show! Donald Gibb. Check. Jean Claude Van Damme. Check. Where is Bolo Yeung? Well I’m definitely not swimming in THAT “water”. —I’d like to say this is a good cover . . . I’d like to. —There may be no end to the beauty of this cover. There may be no beginning either. —Waterfall Guy’s other job is professional blind date. —I may have no taste, but I like this cover. —This cover is not only dull in itself, it is the cause of dullness in others (nod to Dr. Johnson here). —I just saw a great cover, but this isn’t it. —This cover should not be tossed lightly aside, it should be hurled with great force. Did anyone go to work dressed as a GSS cover? @Tat: sort of. My work is the Baen of my existence. …and, like that, he was gone! Where else on that giant man might water be coming from? @Perry – Here’s how I went to work today. After you’ve stuffed and mounted your first few giants, the urge to get creative sets in. 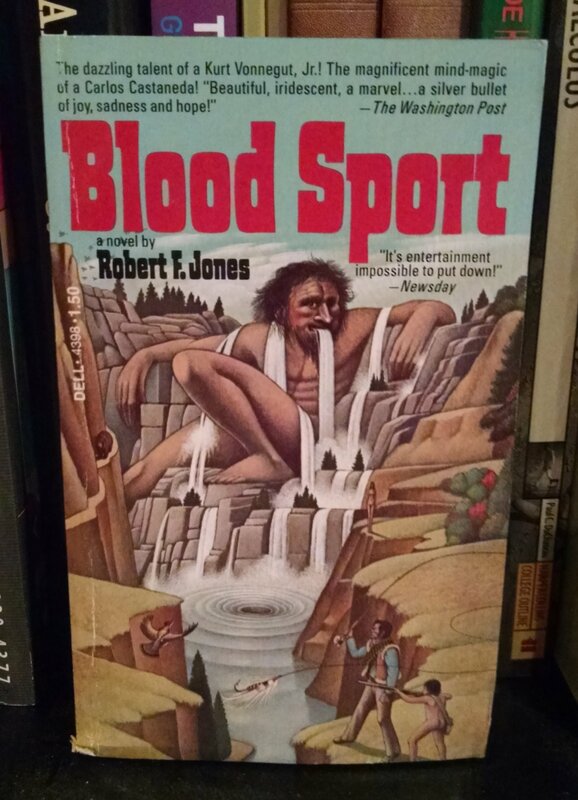 It’s the way the giant is posing (complete with almost coy three quarter facial profile) that really moves this cover into “never sleep peacefully again” territory. @A.R. Yngve – You are so right. I can’t even think of anything to add. Is this a mummy eating his wrappings or a Greek who has eaten most of his toga? Just *what* are the folks in the lower right on about? One looks as if it’s fishing for that bird that’s flying on the other side of that six-foot-wide gorge; the otehr looks like it is shooting while naked…. @Jon K.: And the man trying too hard to look the part looks like he’s about to kill the long-legged kid with the huge hook. ‘Take your gun, O Hiawatha!